Lily is so funny. The other day I had to take her to the vet for a vaccine and since she was the only one who needed it, I thought it would be a fun outing for just us two. Unfortunately, she was so nervous and shaking like a leaf. My heart ached for her. She truly enjoys being with her pack and feels safest when they’re around. She’s only one year old so I’ll continue to work with her and build her confidence, but as the pictures demonstrate, Lily feels at home by Rufus’ (or Emily’s) side. 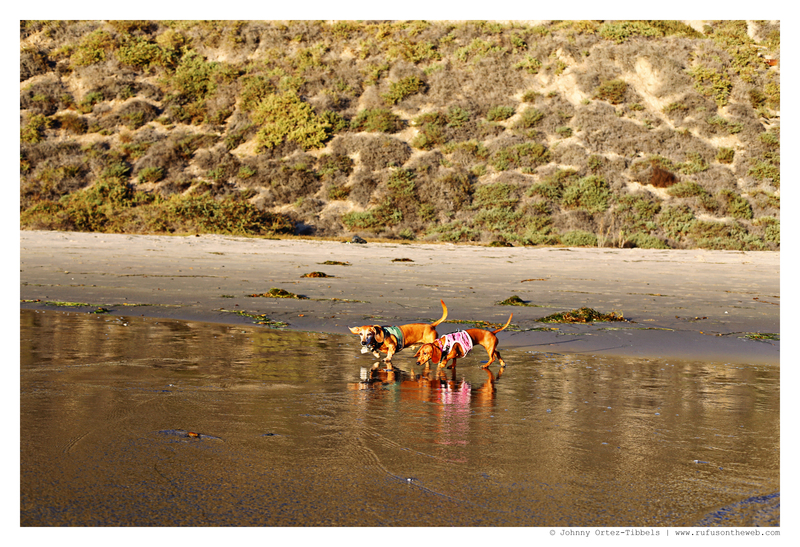 Thanks dachshund friends. 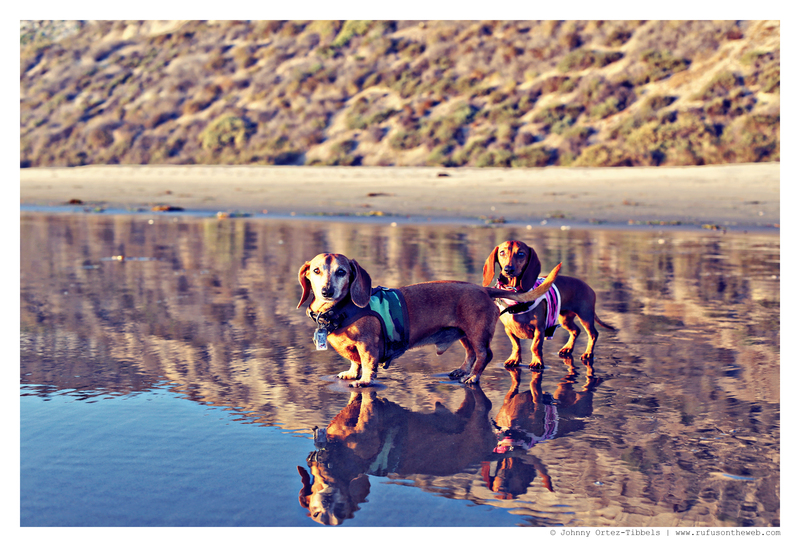 This entry was posted in Lily, Rufus and tagged #ADachshundsLife #HappyHounds, #beach #dogfriendlybeaches, #dachshund, #red dachshund, #smooth dachshund, #WienerDogs #HotDogs, doxies. Bookmark the permalink.